CDInterface is a tool to create autorun cd menu for your software collection. CDInterface is a tool to create Autorun Cd Menu for your software collection.Will organize your softwares and have all the informations you want - title,description,serial number,updates,etc...An easy to use interface.No programming language is required. 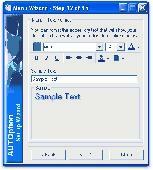 Autorun is a small app which enables easy Menu making for Cd autoruns. All is easy just look in starter.ini. Enjoy 6 simple wizard steps that help you convert your Webpage design into full-featured, stand-alone win32 autorun(autoplay) CD/DVD frontend programs. 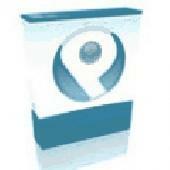 AutoRun Pro Enterprise II is a popular design tool for rapid creation of autorun CD browsers and presentations.